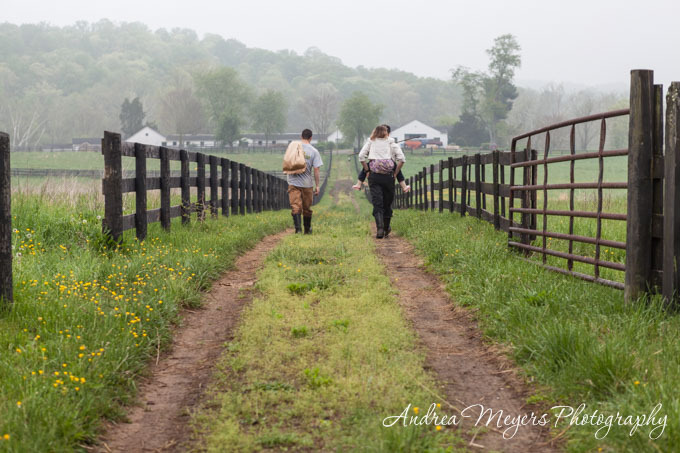 In May I spent a morning photographing the daily chores at Whiffletree Farm in Warrenton, Virginia. 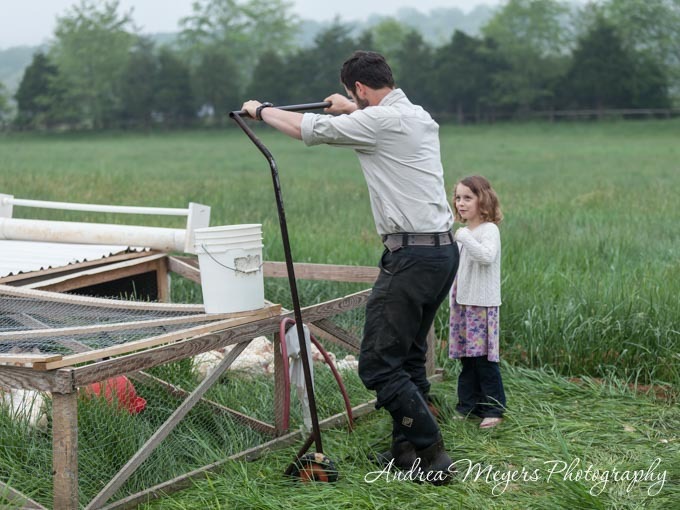 The farm is run by Jesse and Liz Straight and their family, along with paid apprentices. (Make sure to check out their apprenticeship program.) 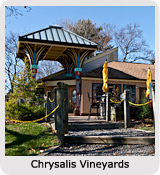 They began their farm in 2009 and moved to the current location in 2012. 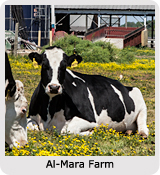 Their specialty is pastured broiler chickens and turkeys, though they also have laying heritage hens, free-forage pigs and grass-finished beef. 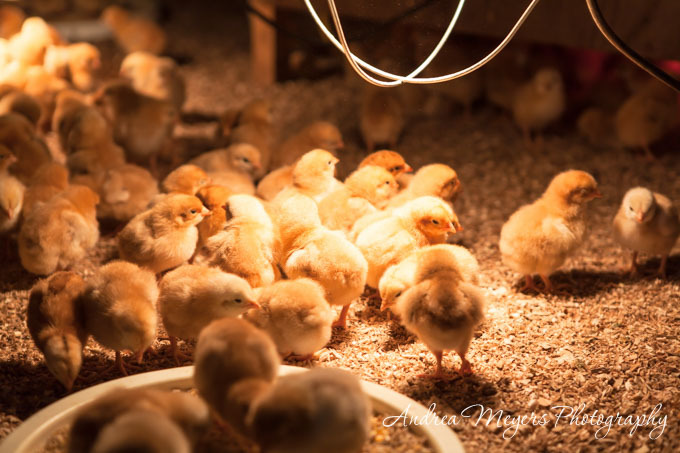 In their farm store, they sell whole chickens and as various chicken parts, stock, and eggs, as well as their own pork products. 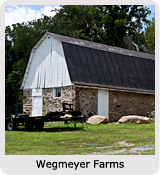 In addition, they offer local grass-fed beef and lamb from Over the Grass Farm, and products from a number of their friends and neighbors (full product list for 2014). We started early, around 6 am, and I had to leave my home at 5 am to make it there in time. It was a foggy morning, the kind that makes the tall grass damp and mutes the colors of the pastures and sky. Jesse and his apprentice Matt and I talked as we walked out to the chicken pasture, and his daughter came along to help. While Jesse moved all 20 chicken coops, she tapped the coops with a stick to encourage the chickens to go. 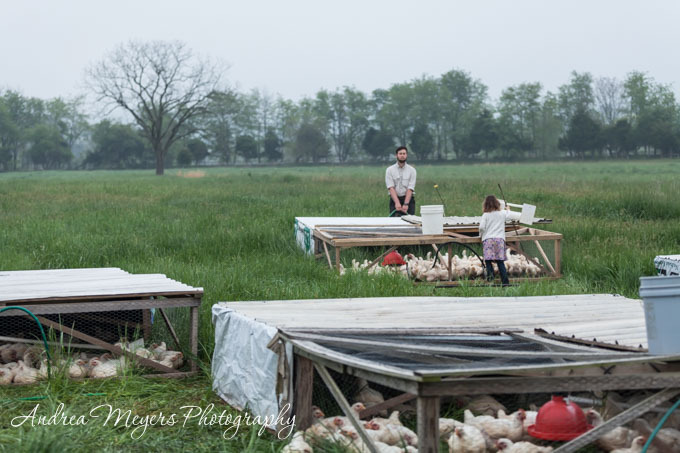 The chicken coops are moved every day so the chickens are getting fresh grass and much less exposure to their droppings, all of which helps the chickens stay healthy. 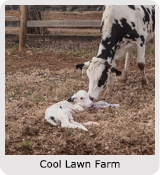 This also helps naturally fertilize the pasture. 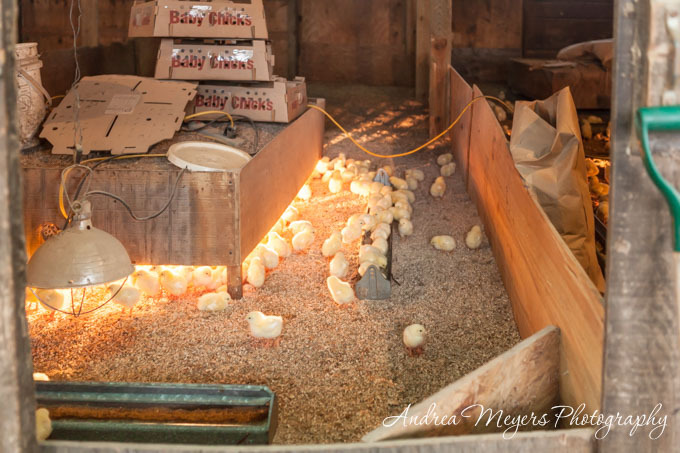 They get frequent deliveries of new chicks, which stay in protected stalls in the barn with heat lamps until they are about three weeks old, then they are moved out to the pasture. The barn is actually an old horse barn with center stalls on both sides and lots of room for more chickens to come. 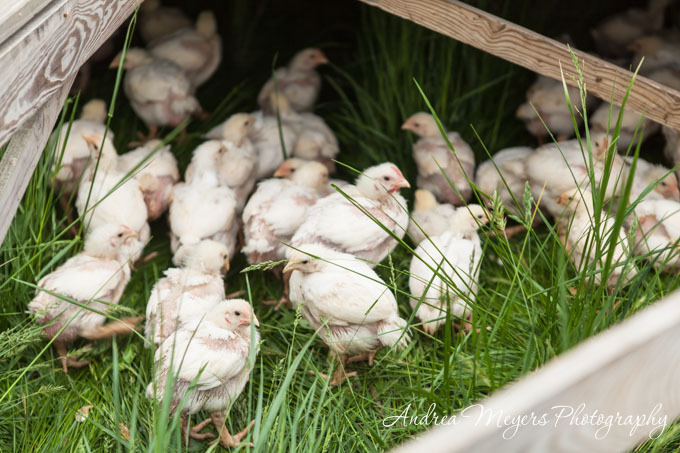 As the baby chicks grow, they offer fresh pasture grass along with their feed to encourage the chicks to graze when they move outside. 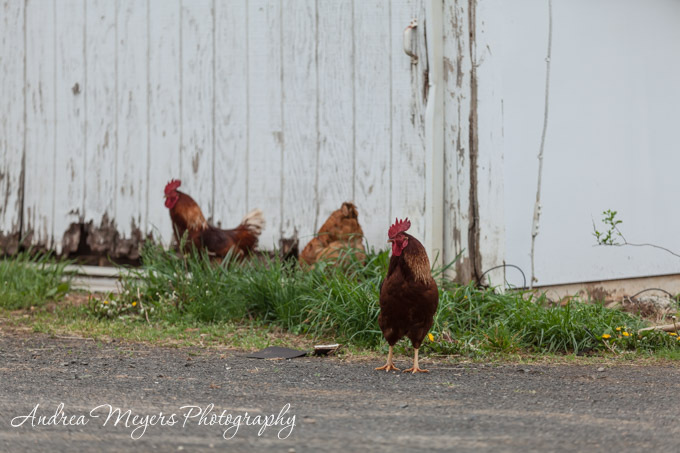 There are a few roosters strutting around the barn, but Jesse said they were destined for the pot soon. I was very impressed with the farm and the family’s commitment to sustainable practices, as well as their support of the local agricultural community. I went back for another quick trip to their farm store and brought home chicken backs (for the chicken stock recipe below), chicken and duck eggs, and a few other local delicacies. We’ve already planned for a summer visit, which is coming up later this month. I’m ready and planning for it to be about 30 degrees warmer. So, now for the chicken stock recipe. I tend to make mine very basic without vegetables, with the exception of onions, because I like it to be a palette for other flavors. So it works well for soup, stir fry, risotto, just about anything that uses chicken stock. If you want a light broth, just use half (or less) of the stock called for in a recipe and add water. There’s no salt in this recipe, so I add extra salt to taste for each dish I make. I keep jars of stock in the freezer in three different sizes: 1 cup, 2 cups, and 1 quart. This way I can use whatever amount I need at the time without constantly refreezing for smaller amounts. One of the benefits of using the chicken backs is the extra meat. I pulled about a pound of meat off the bones after making stock, which was great in chicken tacos. Using the cleaver, hack the backs into 2-inch pieces. Heat the sunflower oil in the bottom of the stock pot, and arrange part of the chicken pieces around it. Sauté until the the pieces are just browned, about 4 to 5 minutes. Remove the chicken from the pot and set aside to drain. Repeat with the rest of the chicken until it's finished. Sauté the onion until soft, about 4 to 5 minutes. Arrange the cooked chicken pieces in the bottom of the stock pot and pour in the water. Cover with the lid and bring to a boil. Reduce heat to medium low and continue cooking at a simmer for 1 hour. Skim any foam or other bits off the top every 10 to 15 minutes as it cooks. Remove the chicken pieces and set aside to cool. Strain any remaining large pieces with a slotted spoon or strainer, then pour the stock through a large strainer, sieve, or chinois. 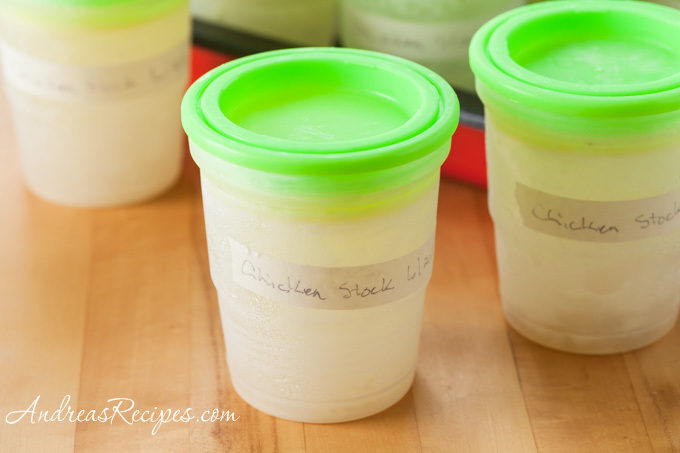 Allow the stock to cool, then transfer to plastic freezer jars. Will store in the freezer for several months. Pull the meat from the cooked chicken pieces and save for chicken salad, tacos, or soup. Though you can skim off the fat from the stock, I recommend leaving it for storage and allow it to rise to the top of the jar, then skimming before using in a recipe.